First came the big-screen commercials. One, promoting a TV show about a superhero determined to save good people from bad criminals, was such a steaming pile of cliches that it could have passed as a parody. Another promoted the latest Star Wars video game, impressively duplicating visuals from the film franchise, but completely misrepresenting the heart and soul of the series by promising players that they will achieve “greatness” by blasting away at enemies with wild abandon. Oh, how we so stubbornly refuse to see what our artists reveal. How we refuse to give up our self-destructive fantasies. Then came something so much better: The movie that followed this parade of appeals to our worst instincts was engaging, energetic, and downright inspiring — terrific entertainment that turns the day-to-day disciplines of journalism into nerve-rackingly thrilling drama. The Post is about achieving greatness through hard work and truth-telling for the greater good, at the risk of one’s personal safety. Ben Bradlee (Tom Hanks) and his team navigate dangerous waters as journalists and patriots. Claire Tanner, one of the Looking Closer Specialists. 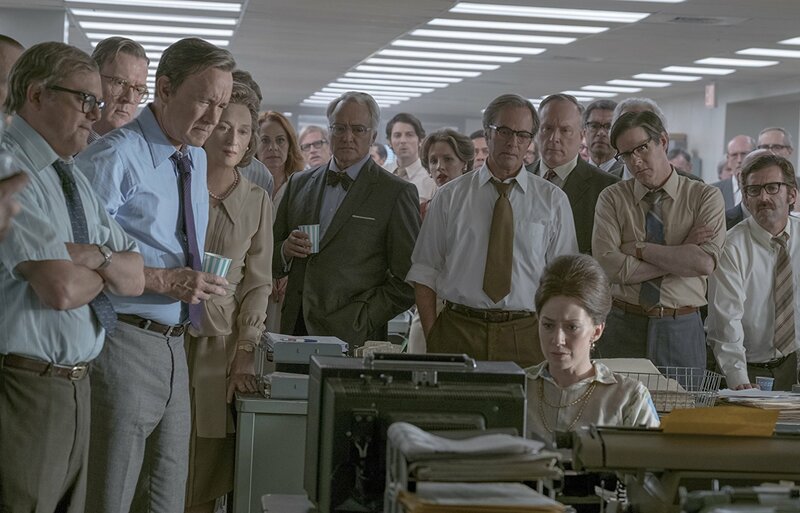 It stars America’s most beloved leading lady and leading man — Meryl Streep as the Post‘s publisher, Kay Graham, and Tom Hanks as Ben Bradlee, its snarly and principled editor. 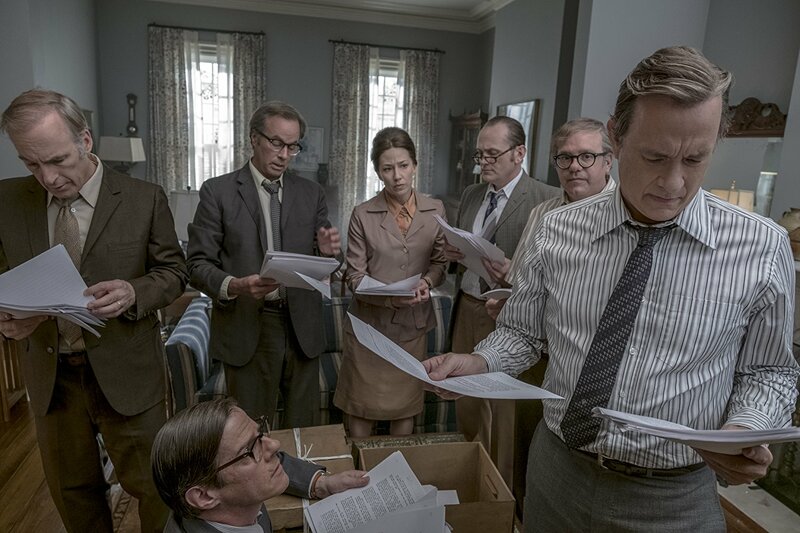 But they don’t dominate the stage; a tremendous supporting cast of reliable character actors make this an impressive ensemble effort, especially like Bob Odenkirk (the film’s most valuable player), Sarah Paulson, Tracy Letts, Bruce Greenwood, and Michael Stuhlbarg (who is everywhere this Oscar season). Every talk-heavy sequence is sewn together with threads of John Williams’ somberly symphonic score, which serves as a sort of sonic yellow highlighter underlining moves and countermoves in the struggle. It’s a familiar, traditional sort of prestige picture, made unusually urgent by current and recent events involving alliances between politicians and journalists, attacks on freedom of the press, our current President’s attempts to insulate himself from scrutiny, cover-ups that seek to whitewash our nation’s transgressions, and the endangerment of American troops due to reckless leadership and unethical agendas. Kay Graham — a real-world Wonder Woman marching into all-man’s-land. No — it’s not subtle or poetic: While Spielberg could easily have gone for even more obvious S.O.S. 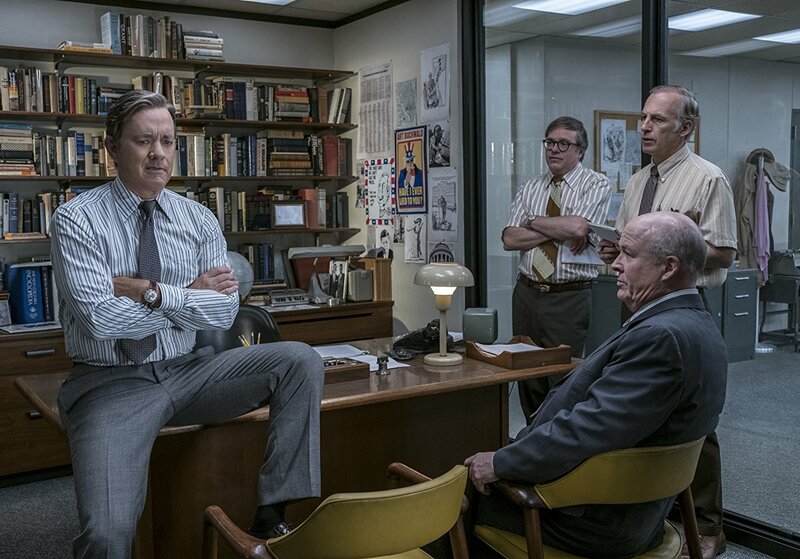 messaging to the audience about present-day threats, The Post wears its convictions on both of Tom Hanks’s sleeves, on his tie, and on his slacks. It’s a sentimental, hagiographic history lesson in which certain lines, were they to appear onscreen as text, would be hyperlinked to current Washington Post news stories. (Hearing Meryl Streep make curt remarks about a President’s belligerence is as “meta” as movies get in 2018.) In other words, the narrative is unlikely to surprise audiences who know their American history. And while the narrative is predictable, Spielberg’s craftsmanship makes it compelling. I doubt anybody will hail this as the finest, most imaginative work from the man who gave us Raiders of the Lost Ark and Close Encounters of the Third Kind. But film students would do well to study how a slow current of dramatic electricity builds and builds, scene by scene, in a way we rarely experience at the movies anymore, primarily because Spielberg has the patience to accommodate detailed and nuanced conversations from actors who value silences as much as dialogue. Bradlee and company get their hands on #RealNews. Nor will anyone call this Streep’s or Hanks’ finest hour. Streep’s too fidgety and tic-busy, constantly underlining Graham’s struggle to preserve her family legacy, protect her employees from the government’s punitive action, and proclaim the truth to the public against the President’s wishes. I found her twitchiness distracting. And was it just me or was Hanks trying inconsistently to affect a slight accent? Still, both actors give admirably restrained, modest, and cooperative performances. Nobody’s trying to command our attention, and everyone seems to be serving the greater good of the film’s themes. If The Post goes home empty-handed from award ceremonies this year, it will be, in part, because of its strengths: With the exception of a few moments that aim for iconic status (Graham walking down courthouse steps through a crowd of reverent young women, for example), the film is built out of understated, unglamorous scenes. After enduring that noisy consumer-culture onslaught of glorified violence that preceded the movie, I can’t help but feel grateful for The Post’s reminder of what true “greatness” looks like in truly American terms. The Washington Post’s hard-working truth-tellers wait to learn if America is still America or not. Go see it with a big audience. If your kids are teenagers or older, take them too. This is one to see with a community and discuss it afterwards. I was glad to share this experience in a huge, packed theater, where cheers erupted from the audience during affirmations of the free press, and during shows of courage from ordinary men and women in defending democracy against duplicitous leaders. It’s easy for cinephiles to decide, as their appreciation of this art form deepens, that crowd-pleasing commercial fare is worthy of contempt. I can remember developing an allergy to straightforward history lessons like this as I was waking up to the richer, more poetic capacities of cinema. (I still have a hard time stomaching the heavy-handedness and oversimplifications of Spielberg’s Amistad, and I still wince at certain sentimental notes in Schindler’s List.) But I’ve come to appreciate that, while our imaginations need the challenge that art can give us through suggestion and subtlety, and our hearts and minds need the awakenings brought by new ideas, our communities need occasions for assembling to meditate on our common stories, where we can commit (or, in this case, recommit) to serving each other and acknowledging foundational truths. When artists and entertainers work together to achieve that in a way that doesn’t alienate or insult anybody, the result can be a kindling of unity, courage, and hope. The Post is — thank God — an accessible film. 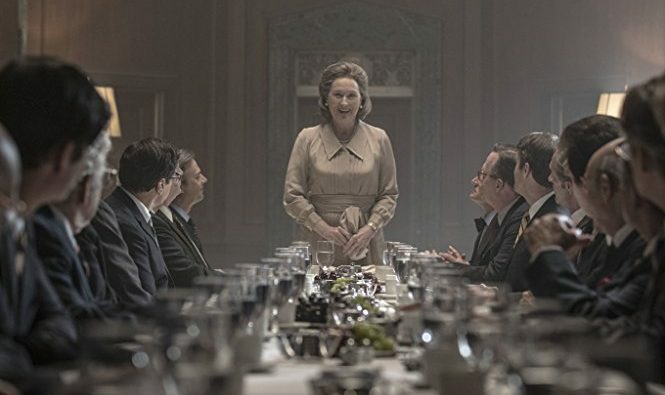 I usually cringe at the idea of movies that play like rallying cries, but I never felt that The Post was devolving into ‘liberal propaganda.’ Kay Graham, insofar as this film testifies to the truth, deserves a tribute of this kind; here, she becomes an gutsy icon who, surrounded by fearful men accustomed to manipulating women, lets her conscience be her guide. Ben Bradley, too, emerges as a champion of excellence in journalism, and thus stands tall as a man of integrity. The Post’s newsroom team risk futures in prison in order to do their jobs and bear witness to the truth, and they deserve to be honored more than any in the administration who sought to silence them. This is a movie that American minds and American hearts need. I could say it’s the movie we need “right now,” but it would be more honest to say that we need movies like this frequently — as insurance against moments like, well, right now. If we can’t find a sense of consensus and community celebrating The Post, then we are in deeper trouble than we know.